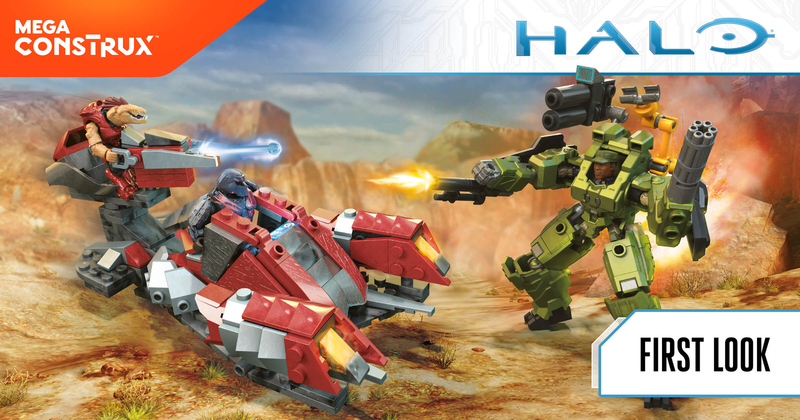 At this year’s New York Toy Fair, our friends at Mega Construx showed off some sweet new Halo collectibles that will be heading your way in the near future. 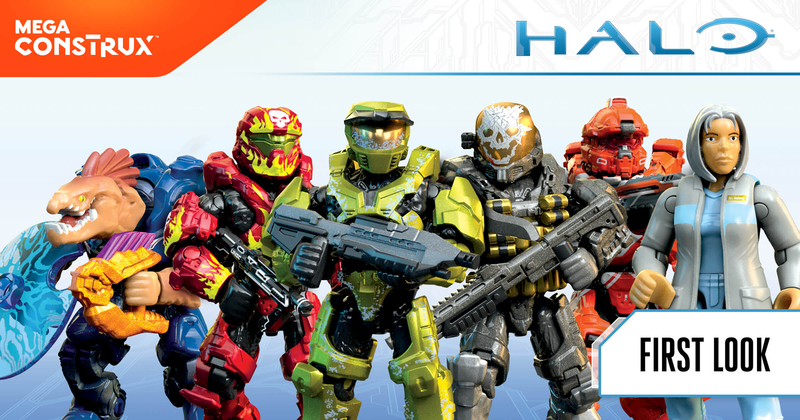 From a new round of the fan-beloved Halo Heroes figure line to awesome new sets that feature furious fights between fierce foes, there’s something for just about everyone. Let’s check out what’s on tap! It’s no secret that I’m a huge fan of these little guys. 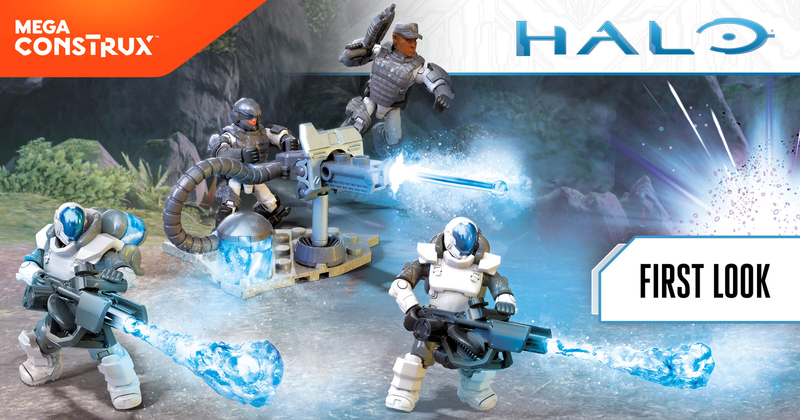 The Halo Heroes line of figures provides fans all sorts of awesome ways to set of a huge array of wild what-if scenarios, bringing together characters from different eras, factions, and styles all into one cohesive play place. Series VIII is particularly rad as it features both Doctor Halsey – mother of the Spartan program – and the Master Chief in his iconic Mk. V armor seen in Halo: Combat Evolved. Seriously, like, why wouldn’t you want to collect every single one of these?! Heroes and enemies of the Halo Universe come to life! Packed with premium detail and iconic weapons, each of these highly collectible micro action figures comes with detachable armor and a deluxe buildable stand with clear display rod. Select your favorite character or collect all 6 to lead your Fireteams to victory! Each sold separately. Characters, accessories and details may vary. The Banished Marauder Strike set lets fans pit one of Halo’s newest enemies against one of its most classic, old-school heroes – but with a whole new coat of paint. Gear up for a high-tech assault and use Sergeant Johnson’s power harnessed in his battle suit to take on two Banished soldiers and their powerful Marauder! Sit one soldier in the opening cockpit of the buildable hovercraft and another behind the turret to take full control! The hovercraft features an articulated turret and functional launchers, while the Sergeant Johnson micro action figure comes fully equipped. Gear up his fully buildable, articulated Mark I Armor Defense System and obliterate enemies using the retractable missile launchers or blast them away using the sniper rifle and mini gun! 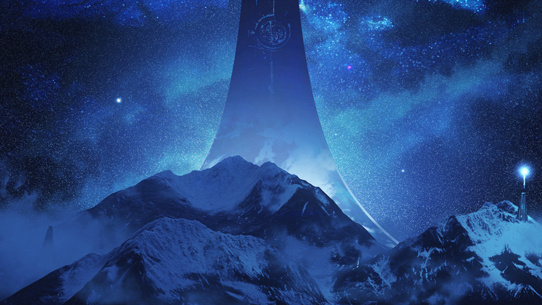 The Blizzard Squad set is the UNSC’s way of helping you let the Banished know that hell has indeed frozen over. These cryo-troopers employ similar equipment to their flame-flinging brethren, but on the opposite end of the climate spectrum. Freeze enemy units in their tracks with this cryotech-equipped squad! Build your base and equip your Cryo Trooper soldiers for battle with authentic arctic armor and cryo weapons. Then take cover behind the buildable, working cryo shell launcher and ice out enemy forces! One of Halo Wars 2’s biggest – literally – new additions was the Goliath Hunter, a massive and monstrous new enemy type under the command of Colony. And now, you can take him from the virtual battlefield to the one in your house to let him face off against Sgt. Forge and his awesome custom Warthog. Hot-headed Forge is raring to fire up his Warthog and mow the Banished down! Featuring full suspension, opening hatch doors, and functional launchers with projectiles, Forge’s Warthog is ready for a face-off with its hulking prey. Build the Goliath, then gear Forge and a UNSC Marine for battle with the authentic armor and weapons. Then, deliver close-aim blows as the Goliath delivers pummeling jabs using his fully-articulated fists! Suit up for the hunt and see who becomes the hunted! The last thing you’d likely want to tell an angry Brute in a mechanized suit is to “chill out.” However, if you’re going to embark on such an undertaking, you might as well bring along the right equipment for the job, such as this UNSC Frostraven. Although, we’re pretty sure it’s still a bad idea in general, just saying. Build the locked-and-loaded UNSC Frostraven airship fully loaded with removable cryo tanks and 4 missiles to take the battle to the skies. 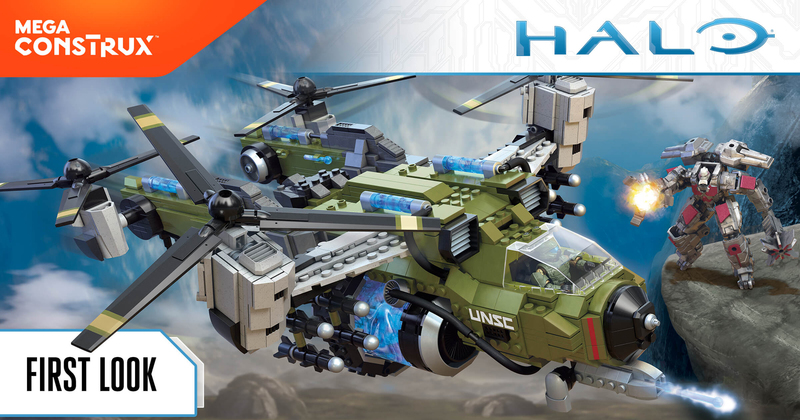 Open the aircraft’s cockpit, sit your UNSC Pilot micro action figure at the controls, and lift off with the rotating propellers before unleashing a missile attack! Then, prepare Atriox’s lieutenant, Decimus, for an up-close battle in his articulated mech exo-suit including mace and a 3-pronged power claw. Land the UNSC Frostraven down on the ground and slide the weapons rack from the cockpit and arm up to strike down the ruthless Banished Commander! 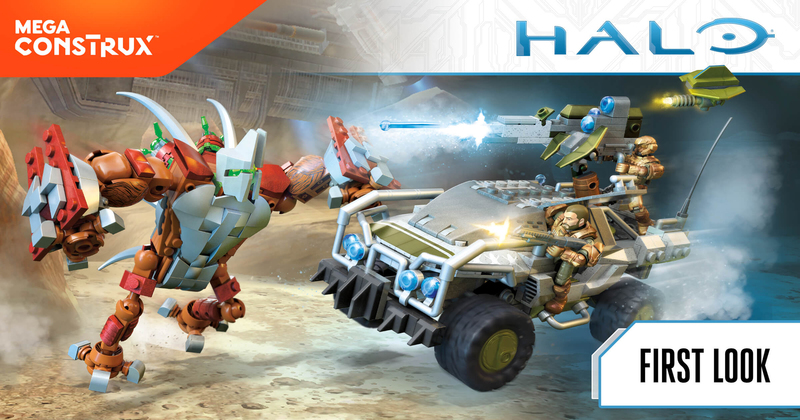 No matter what your favorite flavor of Halo is, our friends at Mega Construx have got you covered. Check out their full line of Halo offerings at megabrands.com, and for all the latest news, reveals, and updates on other Halo costumes, collectibles, and more, make sure you’re keeping up with @Halo and @HaloGear on social. 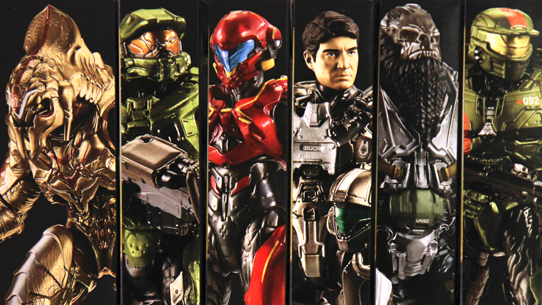 Halo Heroes - Series 5 Figures Are Here! 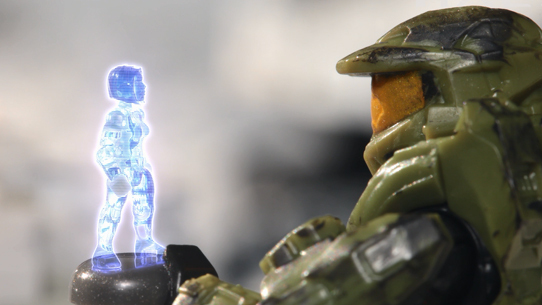 Celebrating the brand-new Series 5 of the popular Halo Heroes line, this sweet new Mega Construx stop-motion vignette showcases new figures on a fun and action-packed adventure – one that so many fans and collectors can recreate on their very own. Let’s check out the new video, and then talk about the new series of figures! Introducing Wave 2 of Mattel's 6" Figure Series! Our friends at Mattel continue to pump out awesome options to pose and play with as Wave 2 of their sweet 6” action figure line begins to hit stores across the land. The next salvo of collectible coolness includes six mainline characters, each with up to 30 points of articulation and gorgeous deco treatments. Let’s take a closer look at the lineup of characters hitting store shelves with this next series!